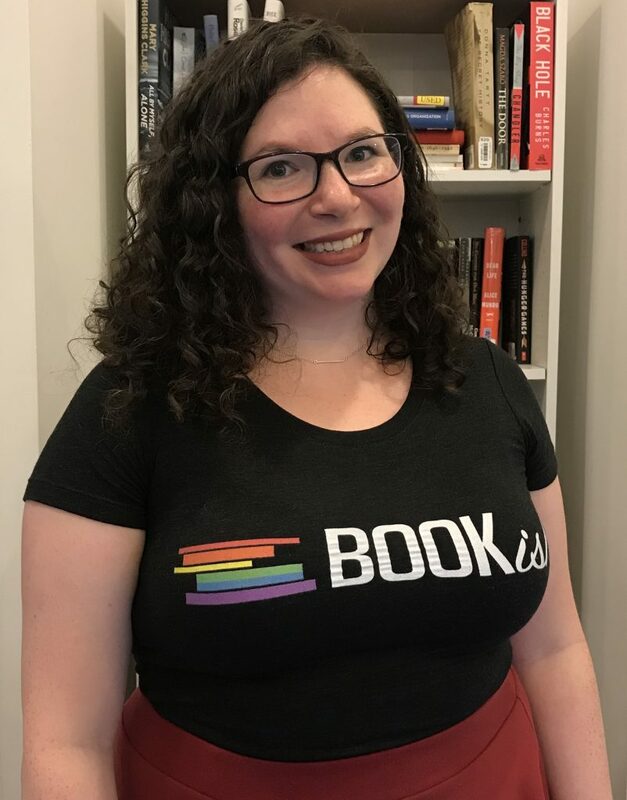 Kelly Gallucci is the Executive Editor of Bookish.com, where she oversees Bookish’s editorial content, offers book recommendations, and interviews authors like Colleen Hoover, Leigh Bardugo, V.E. Schwab, and Julie C. Dao. As the editor of this popular site, she gets pitched a lot of books to consider for features, interviews, inclusion in lists, and the like. Below, she shares some tips about how to approach pitches, based on her experience receiving them. Give us a sense of the volume of pitch emails you receive. How do these fit into your overall workflow and help you build your editorial calendar? My inbox is my personal Everest. I’d estimate that I receive roughly 100 emails a day, give or take, though not all of those are pitches. There’s definitely an ebb and flow depending on the day of the week and the season of the year. Our editorial calendar is first shaped by recurring features (such as our book club recommendations, monthly Bookish bingo, and our seasonal roundups). The next step is to fill in any features that our team wants to work on. While writing those in, we leave room for articles inspired by publicity pitches, such as interviews and author guest posts. Sometimes books pitched to us will fit into features we’re already crafting (a romance book pitched while we’re writing a holiday romance listicle), or they’ll inspire features we want to work on in the future. I also like to leave room for author guest posts, where authors share a short essay or a list of book recommendations. This gives our readers more insight into the author and their work, and lets us profile their book more directly. What are the most successful ways that people have contacted you with a pitch? What are pitfalls that might make a pitch less successful with you? Feel free to include specifics. The best pitch emails are the ones where a publicist shares an idea for an author guest post or predicts the kind of content the book would be best suited for. This makes it easier to envision where the article would fit into our calendar. As for pitfalls, the big one is pitching us for content we don’t feature. For example, I receive a lot of pitches asking for us to review a book, but we don’t do book reviews on Bookish. Similarly, I receive a lot of requests for interviews. Interviewing authors is one of my personal favorite parts of my job, but they can be tricky for our audience. You have to work twice as hard to motivate a reader to click into an interview with an author they’re unfamiliar with. If an author has a strong online community, we can tap into that. If not, I’ll often see if the author is available for a different type of feature instead. A lot of this depends on the author’s availability, but I always appreciate publicists who are willing to think outside of the box with me when it comes to how to feature books. Describe the relationships you have built with publicists and authors who regularly pitch you. How have publicists been able to earn your ear and your trust? I’ve had the pleasure of working with so many brilliant and talented publicists over the years. Their creativity and drive never cease to amaze me. The ones I rely on most are the ones who take the time to truly understand Bookish. They read our articles. They know the content we do and do not cover. They pay attention to the genres we feature most frequently. Basically, they do their homework. As a result, their pitches are refined and reflective of the content that does well for Bookish. When I see an email from them in my inbox, I know the book they’re pitching will be a good fit for us. I also always appreciate the publicists who ask questions, especially if we haven’t had the opportunity to work together for long. I’m always happy to hop on the phone or fire off an email that can explore in detail the kind of content we cover, what does and doesn’t perform well, who our audience is, and more. When I receive a pitch, I’m never just thinking about the book. I’m considering all of those other factors too. When digging through your inbox, what kinds of subject lines catch your eye? What details are important right up front? I think the best subject lines are concise and direct. In my inbox right now, there’s an email with the subject “Cover Reveal for Bookish.” That’s excellent. I know exactly what I’m clicking into, and it alerts me to the fact that this is a more time-sensitive email. Another one I’ve spotted is “February’s Most-Anticipated Read” followed by the book title and author name. I now know the book, the time frame, and the angle. On the other hand, I see a lot of emails that try to offer too much information upfront. An example from my inbox at the moment would be “New Standalone Novel From NYT Bestselling Historical Fiction Author” and the rest of the subject (the book title, author’s name) are cut off. The lede is buried here, and at first glance all I really know is the genre. How do you feel about follow-ups from publicists? Is there a timeframe that works well for you if they haven’t heard back? What is important to you in a follow-up from a publicist? My inbox is a dragon and it hoards emails like they’re gold. Follow-ups often work really well for me because they help to bring the email back to the top of my inbox. The ideal timing varies. I don’t mind if a publicist follows up on a time-sensitive email the following day. For general pitches, following up a week or even weeks later is helpful, particularly if the pub date is still a healthy distance away. A longer time between follow-ups also means that there’s more potential for new information to have come out, and that’s something I’m always looking for in those emails. Has anything changed since the first pitch (news, reviews, blurbs, etc.)? What is one pet peeve (or pet pleasure!) that you have about pitch emails? My pet peeve is definitely when emails don’t contain enough information. It’s most helpful for me when the author, book title, genre, and pub date are as up-front and clear as possible. I’ll also add, and this isn’t related to pitches, that it’s extremely helpful when authors list their publicist on their website. It’s one of the places we check if we’re looking to contact a publicist we haven’t worked with before, but most authors only list an agent. As for pet pleasure, it’s always a joy to open an email where a publicist references projects we’ve worked on in the past, books I’ve enjoyed from them, and other personal touches. To be clear, I’m all for form emails. Publicists are juggling multiple books and authors, and I support anything that makes their lives a bit easier. But personal touches at the beginning of those emails are always just a nice thing to see during my day. 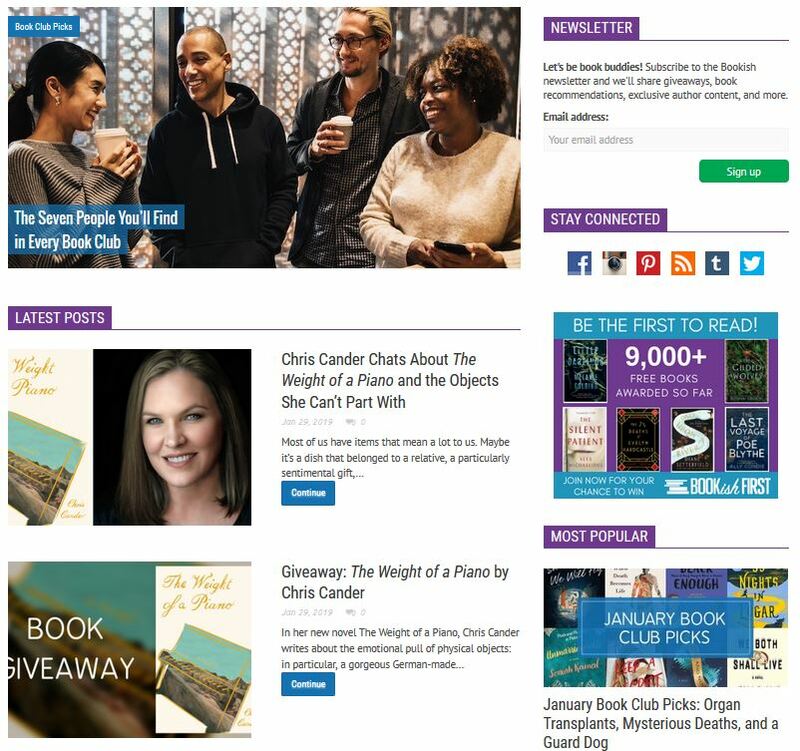 Follow Bookish on their website, and on Facebook, Twitter, and Instagram.